Good day readers! 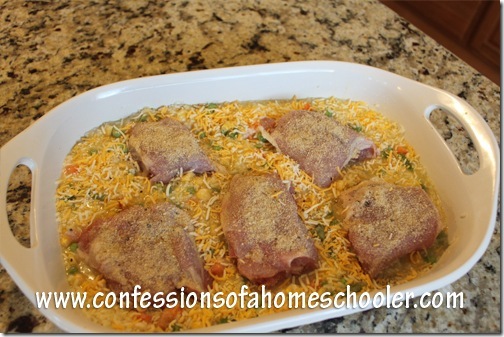 I have an awesome, and of course easy, recipe to share with everyone today! This creamy chicken and rice casserole is awesome for any day that you need to toss something together in a hurry. And if you’re me, that’s just about everyday. In casserole dish mix in soup, water, onion powder, rice, and vegetables. Stir around so that soup mixes in well. 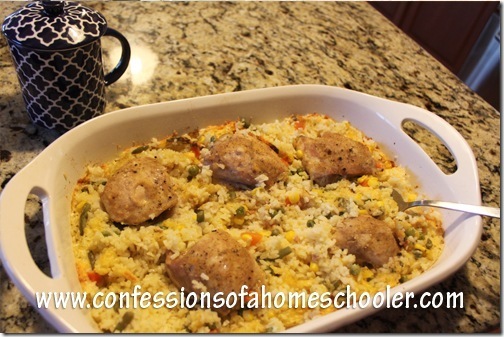 Place chicken on top of rice mixture and lightly sprinkle chicken with bread crumbs. Cover and bake for 50 minutes or until chicken is cooked through and rice is tender.